Mr. Karthik K, a brilliant student in finance, secured the 4th rank in MBA Exams of Bangalore University. 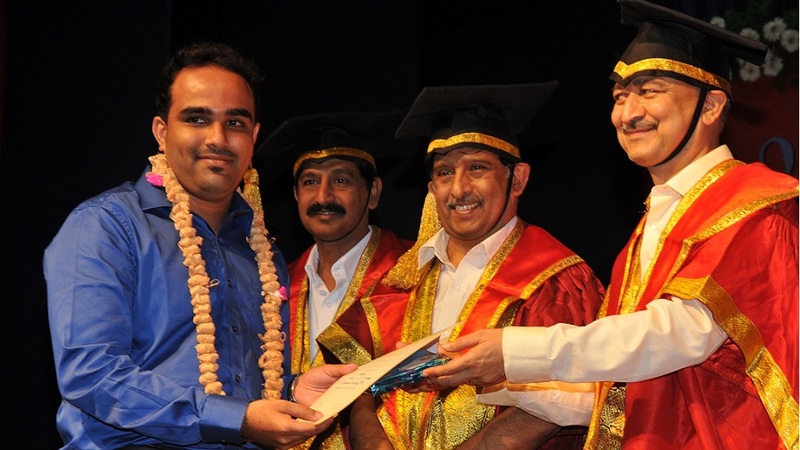 He was felicitated and honored on the eve of the Graduation day 2014 by Shri Pradeep Singh Karola in the presence of Shri K C Ramamurthy, Chairman, CMR Group of Institutions, Shri K C Jagannath Reddy, Secretary, Jnanadhara trust, Dr. K C Raju Reddy, senior trustee and Dr. C M Bhaskar Reddy, Director, CMR Group of Institutions. Mr. Karthik travelled all the way from Mangalore to Bangalore to pursue his MBA program at CMRCBS and secured the 1st place in CMR CBS. At present, he is working as a Manager in HDFC Bank, Mangalore.